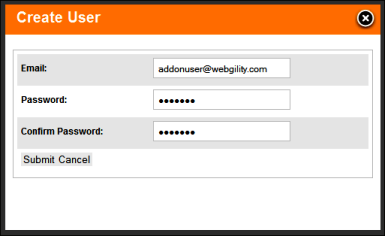 Step 1: Once you have purchased an addon user, please login to your account on the Webgility Customer Portal & click on the Subscriptions. Step 3: Clicking on 'Create' will bring up the 'Create User' Window where you can create login credentials for the additional users. That's it! Now you can use your newly created id to login to Shiplark on the addon systems.